With popcorn proving to be a popular snack for those looking to grab something quick to eat but not full of calories, there are plenty of brands to choose from. 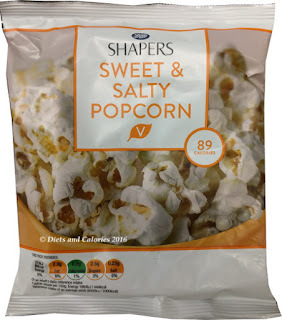 Recently spotted in a Boots store are these new packets of Shapers Popcorn. I spotted three varieties: Coconut & Pineapple flavour popcorn (89 calories), Cheddar & Caramelised Onion Popcorn (82 calories) and Sweet & Salty (89 calories). 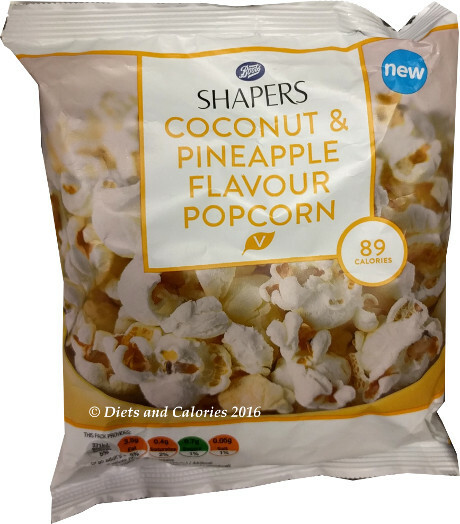 I purchased a bag of Coconut and Pineapple popcorn, partly because it’s one of my favourite flavour combinations and also because I’ve never come across this variety in a popcorn. 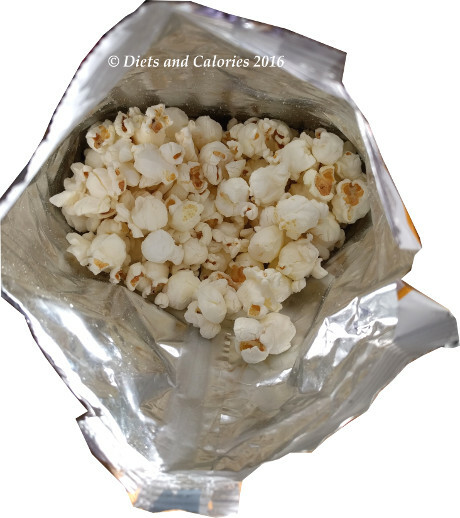 This is a 20g bag which holds a fair amount of popcorn, certainly enough to keep me munching for around 10 minutes. And I saved some for later. 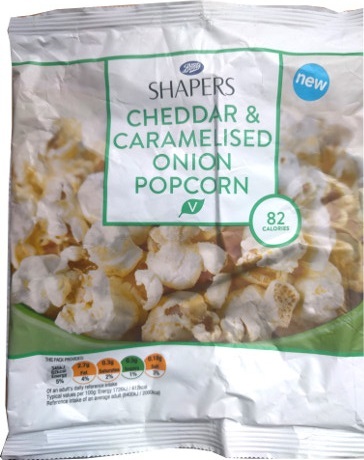 Opening the pack reveals a somewhat anaemic looking pile of popcorn with the popped kernals sparsely coated in the flavouring. They have a chemical type smell which reminded me of a frozen pineapple ice lolly. 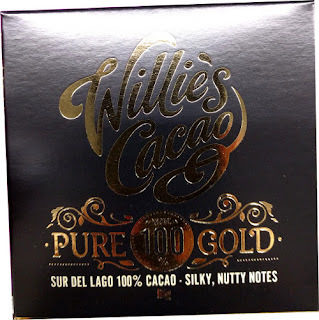 I suppose that prepared me for my reaction to the taste. No, this is definitely not a flavour that works well with popcorn. You may feel differently. I've since tried the other two varieties and much prefer them, especially the Cheddar & Caramelised Onion. 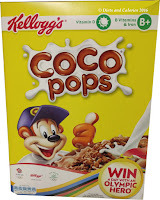 Ingredients: coconut & pineapple: Popped corn, rapeseed oil, coconut and pineapple flavour seasoning (sugar, buttermilk powder, rice flour, coconut milk powder (coconut milk, maltodextrin, sodium caseinate (milk)), flavouring, salt, acid (citric acid), colour (turmeric extract)). 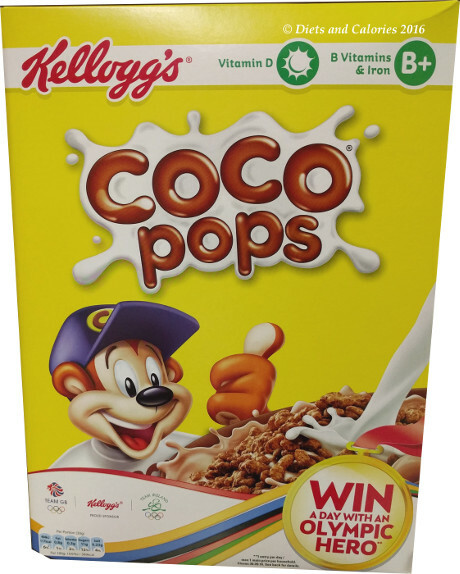 Nutrition per 20g bag: 89 Calories, 3.5g fat, 0.4g saturated fat, 10g carbs, 0.7g sugars, 2.8g fibre, 2.6g protein, 0.05g salt.